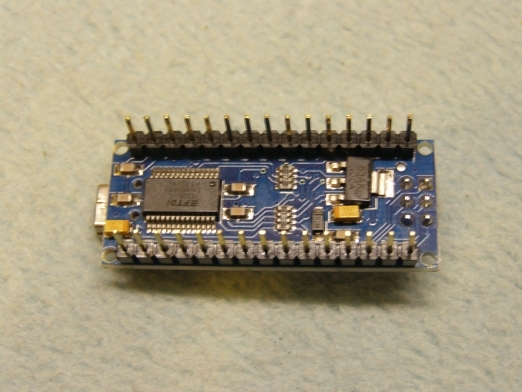 I purchased a few Arduino Nano's with a CH340 chip. These replace the fake FT232R chips that were used a few months back. On my oldest PC with WinXP sp3 I got it working ... after several attempts. But on Win7 64 bit PC's the CH341SER driver package runs, but Win7 keeps complaining that the USB device is not recognized. No enumeration. Any suggestions ? 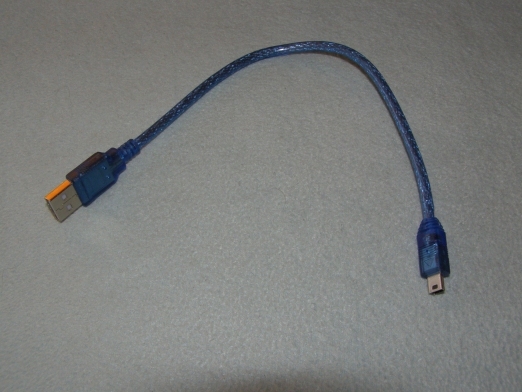 Update: I used the short (30cm, 1ft) blue USB cable that came with the previous Nano's on the Win7 systems. Replaced that with a 2 meter cable and now one Win7 system runs OK.
Update2: removing the driver completely and a fresh install (with the 2m cable) did the trick on the second Win7 too ! Use setup.exe in the CH341SER package, not DRVSETUP64 even though both Win7's are 64 bit. So I am done ... time to find my bed. I would guess that the nice 30cm cables have got broken wires / bad connections. When you get to this price level, quality is not part of the deal. If the 30cm is electrically correct, there must be something pretty odd with the CH340 chip or driver. It was a broken wire indeed. And it took me a while to find that out. I didn't expect the cable to be the culprit. Assumption is the mother of all f****ups. Hey, are these knock-off boards you are describing similar to the Hack-A-Day boards (though, these are priced rather high, I think) that are about 0.6" x 1.6" footprint? I seen somewhere recently, knock-off boards with this footprint, fully stuffed, for less than $1.00 US. I'm thinking, how in the heck can they sell the entire, fully populated board, for what only the controller costs. I was leery of getting some because, well, you know... you get what you pay for. If your boards are working to your satisfaction, I might just risk droping $30.00 or $40.00 and stock up, the next time I see a deal like that. I buy these at Banggood.com. Cheap source for Arduino stuff. Pictures attached. The fake FT232R are no longer stocked. They replaced it with the CH340. And with a working cable (doh) it works like a charme. Thanks for the link, Nard. Ah, very good, you added a link. Not the same boards. The Nano's have a USB to serial chip. The Hack-a-days don't. Banggood has simular boards as well, at even lower cost. I also bought an Arduino Leonardo: has an ATmega32U4. Just for the fun of stepping into USB. I would be wary of a Leonardo.. The thought of an independent Serial chip/driver is more attractive. I owned a CH340 USB->rS232 cable. It worked with XP. Not with Vista-32. I have never tried it since. Somehow I would be happy with paying $5-$10 if I knew what I was getting! Ideally, a non-counterfeit FTDI, or a non-countefeit PL2303. AFIK, the UNO R3 clones have a genuine mega16U2. I would like to support the Chinese economy. But with genuine parts. And at a genuine price. I think Id have to agree. I've got two Arduino Duemilanove's with FTDI handling the USB, three Arduino Mega's sporting the AT1280 with FTDI handling the USB and two Arduino Uno R3s with the Mega16U2AT handling the USB. My Toshiba notebook is running Windows 8. With the Duemilanove's and the Mega 1280s the FTDI's work flawlessly. But I have spent several sessions, including most of today, attempting to find drivers for it or a work-around. I'm being warned that the driver didn't install because Windows could not find a valid descriptor. I even installed Arduino's latest version of the IDE with the same results. Looking in Arduino driver folder of the most up-to-date IDE installation, there are only FTDI drivers for Win32 and Win64, nothing to support the Mega16U2. I've decided that the Uno R3 simply isn't worth any more of my time. I'm also feeling quite leery of purchasing any other Arduino's that have been switched over to the Mega16U2 USB controllers, until they publically announce the release of Microsoft approved drivers. It's not that I have any issues with the Mega16U2, but that it's been a year or more since Windows 8 was released and Arduino hasn't publically released a Microsoft approved driver for the Mega16U2. Apparently we all get our share of unwilling Arduino's. Same pain over here Carl. I am trying hard to leave the axe in the cellar .... and pick it up only to cut wood for the woodstove. @David: I am pretty sure that LeoNardo will bite this Nardo, but it's an interesting chip: more PWM channels, more ADC channels. I don't have a Vista system to test on. Btw, I bought the USB add-on for Bascom, so I can play with the 32U4 ..... and 1287, which has been in the drawer far too long. But man, what a complex techniques that come with USB. And with TCP/IP, that's another beast to tackle. Obviously you have some plans for the indoor activities during winter in place of riding your motor bike. Best of luck mastering that one. The fake FT232R are no longer stocked. They replaced it with the CH340. We try to buy FT232RL from local distributor and they had no stock, then we look around and found the chips from other supplier, but unfortunately we got clone FTDI chips. ... we took decision to avoid dealing with this cheeky and nasty company as much as possible. Re-designing all our boards which were unfortunate to use FTDI chips. CH340T is nice alternative to FTDI chips and have same features and even more, but cost exactly 1/10th of FTDI chip price. Assumption is the mother of all f****ups. Not true!! Chinese manufacturing is the mother of all f****ups. At the risk of sounding racist by western politically-correct standards, there is a serious defect in mainland Chinese culture that doesn't appear in other Asian cultures, such as the Japanese, Korean, or Taiwanese. The mainlanders are so desperate to 'save face' when confronted with the consequences of their mind-boggling lack of concern for manufacturing quality, that they will ship known junk just to avoid having admitting that they have unacceptably high levels of junk. The Japanese, on the other hand, have an obsession with good quality. The top prize for improvement of manufacturing quality, the Deming Prize, is a nationally televised event there. -a three pronged power cable with no ground wire that was about to be shipped with a piece of hospital-grade equipment. This required an FDA notification to all the hospitals that may have received other defective cables in our recent shipments. Took me and another tech five hours to find this. - an iPhone power adapter with a 1-mm gap between the 220VAC line and the +5 volt output line. - A TFT 2.4" 320x240 with an undocumented ST7783 video controller instead of the claimed ILI9325 controller-The write up said that the controller was SPDF5408, which doesn't exist. - On the same TFT module, the I2C SCL line was hard-wired to the AVR reset line. This was invisible as it was done on an internal trace on a multi-layer PCB. It took me about six hours to discover this. What a nightmare that never ends Chinese electronic goods are! I can add: poor or no documentation, neither for assemblies nor components, unsafe designs ... and more. What I do is: check safety precautions myself. I added a fuse to f.i. a 230V LED ceiling light. And replaced the wiring: too thin wires were used. LED light strips are OK, but the controllers are really bad: lots of RFI. I replace those with my own controllers. So I don't assume anymore, ... I check. And can live with that. Awareness is the keyword. One of China can direct one to what are the products of quality and where to purchase said products. Can hire a broker to facilitate. I bought a handful of the Chinese Nano's with the CH340G USB chip, and I have to say I am amazed they work as well as they do for $2.68. 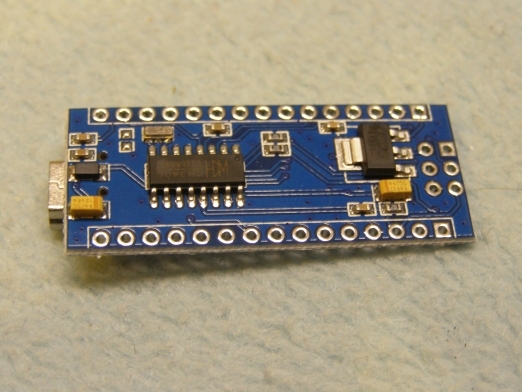 The CH340G seems to be a pretty solid solution, and is way less expensive than an FTDI. I have had no USB problems with them at all, except for one dead one. In the past I purchased a number of different USB->serial breakout boards and all of the cheap ones had problems, like one would suddenly disable all the COM ports on my laptop, requiring a reboot, and another couldn't keep up at 9600 baud. The best ones I've seen are from Tindie and called MicroFTX USB-Serial Breakout boards. They are 0.4" x 0.6" and have the FTDI FX230 chip. I have never had a problem with them and they are so tiny, although they are a little pricey at around $9...but I am getting off topic. One thing about them, however, if you try to run debugWire with an Atmel ICE it will brick the board. I've tried it twice and both times I ended up with a little tiny brick. Don't know what the deal is there. I'm also a big fan of the Nano's with the CH340G USB chip. Haven't had any problem with them using both XP and Windows 8. The Arduino Leonardo requires me to reload all the USB drivers every single time that I plug the Leo into an XP machine or cycle the power. It takes several minutes every single crash-and-burn programming cycle. Absurdly annoying. I'll never buy another Leonardo nor recommend one to anyone to use. All this is a result of supposedly non-existent concept of software entropy. That is the characteristic of the same software on the same system to break down in its operation after several years. Computer 'science' says that this is impossible: the same code on the same machine will always run the same as long as the hardware is not damaged. But software is a closed system of energy and the theory of entropy says that closed systems of energy will always increase in disorder. 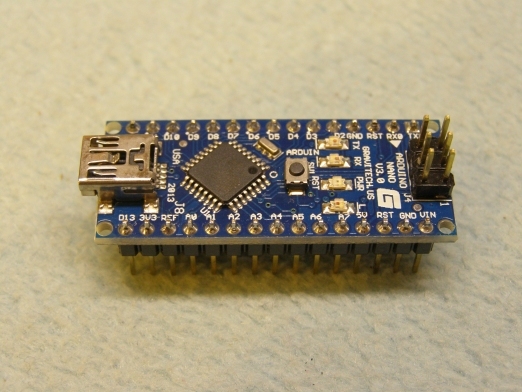 The biggest cause of Arduino failure is the ridiculous USB standard itself. Typical electronic industry horsesh*t of having a 'standard' with 10-15 different plugs and a 300 page 'specification'. USB fails because it attempts to universally cover every serial interface from 300 baud teletypes to gigaHertz High-Definition video streams. It is absurdly over-engineered and needs to be broken back into several speed categories that can be reasonably configured to bring each serial port application back to "JFW" (just f*cking work!) status. 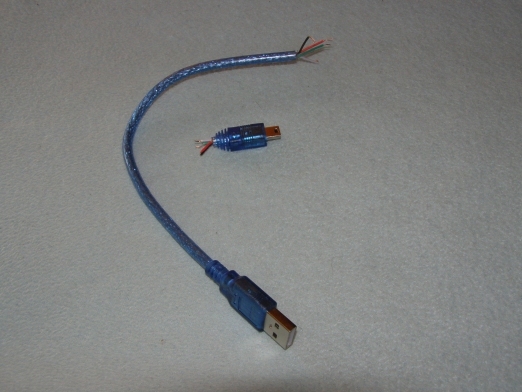 USB is a network imposed on technology where a network is inappropriate, such as connecting an Arduino AVR to a PC. Are you getting Nano's with the CH340G chip that are not Chinese made? You sound like you would prefer to not use Chinese merchandise. I understand what you mean about the quality. It is real variable. I don't think I would use the cheap Nano's I am getting on eBay in a real product I would sell. I would probably spin a board, although the Chinese Nano's are so small and inexpensive it is tempting. Have you tried running the debugger in Atmel Studio on a CH340G Nano? I'm curious if anyone has had any luck doing that using an ICE. I don't want to try again because of my last two experiences. I don't need another little brick, even if they do cost less than $3. I have a home made "Markduino" I made a long time ago I use with fresh ATmega328P's with no bootloader to test and debug my code in Atmel Studio. I don't do Arduino, although some of the libraries are tempting. I like to write my own for most stuff so I understand what is going on. Is the CH340G a Chinese development? All the documentation is in Chinese. So now we're aiming our racism at the Chinese are we? Can I just point out that the vast majority of consumer electronics in everyone's home, pocket, car is manufactured in PRC. They even have a manufacturing city(*) with 300,000 people that does nothing but manufacture electronic equipment for high end brands like Apple, Bose, Sony, etc. etc. I worked for a UK design company for 20+ years that did all our manufacturing in PRC. Our products had one of the lowest warranty service/return rates in the UK/Europe because of the quality of the manufacture. Of course it's possible for anyone to set up and make shoddy products in any country in the world. That's not a "skill" reserved for China! The vendor has sold 13000 boards so I would be fairly confident that they are ok. I note that everything is SMT so the production cost is minimal. But the raw components must have cost something ! I am wary of Ebay vendors with "low sales count". Especially those that are the "cheapest"
I would agree with Cliff that there is a lot of excellent manufacturing in China. I do have a sneaking suspicion that "out of spec" products leave the factories and end up on Ebay as "bargains". I might buy a couple of these boards just to see how well they work with debugWIRE. I hope I didn't sound racist. I am actually impressed with what the Chinese are doing in manufacturing. But any time you manufacture something at rock bottom cost there are bound to be quality issues. It is the nature of the beast. I buy a lot of Chinese electronics and have been really happy with just about everything I get. And years ago I bought a lot of Chinese made machinist tooling, and couldn't believe the quality for the price. It was all so good. Sometimes there is the odd product that doesn't quite meet expectations, but as David says it may be the rejects that end up on eBay. I try really hard not to be a racist, even though it is human nature to fear someone different. I think it is a survival instinct left over from long ago. It is something a person has to fight within him/her self to do the right thing. But thanks for pointing it out. I did not mean to offend. My first wife was Chinese, and although there were quality issues in our relationship, it was this white boy's fault as much as hers. I bought 10 CH340G Nano's from Alice1101983, the vendor on eBay that has sold over 13,000 of them. One had a dead USB I use for an LCD project, and 2 needed the header holes drilled out to get the header pins in. I was so upset I bought 5 more from them. The customer service people are very nice, and answer emails right away. They were so nice I didn't make them send me a new one for the dead USB unit since I could use it on a non-USB project. I would recommend them if you want to play with the CH340G Nano's. They are an amazing deal, and are really cool little boards. I just don't know how they can make them so inexpensive. Other people I know who got Nano's from them have had no problems at all. I might just have been lucky and got a couple that were drilled out with a worn out drill or were plated a little too long. Let me know what happens when you try debugWire. I am really curious if it just me or if there is something about the boards that don't like it. I know you cannot have a bypass cap on the reset pin or debugWire wont like it. I would guess that I have to cut the DTR line if there is no official RESET-EN solder bridge. Either that or just remove the 100nF DTR capacitor. Ebay packets take 9-39 days to arrive from China. I took a closer look at the Nano and there is a 1 kOhm pullup resistor connected to the reset pin, and a capacitor that goes to the DTR pin on the CH340G. That seems like a small pullup resistor. Since I don't use the Arduino IDE to develop code and don't download sketches through USB I probably don't need that capacitor. You may be right that is the problem. I am wondering if the 1 kOhm pullup resistor could have something to do with it too. Any thoughts there? debugWIRE will be unhappy with anything stronger than 10k. Are you sure that it is 1k0 and not 10k ? Is there a specific solder bridge for RESET-EN ? It is diffioult to see from the Ebay photos. Yes, if you never use the bootloader, the DTR capacitor is unnecessary. An ISP programmer will drive a 1k0 pull-up with no complaints. Personally, I tend to always use the Bootloader. I just have one UNO that is used for debugWIRE (and an ATMEGA168PB-XMINI). It is handy to reset the Arduino via the Terminal. The resistor says 102 on it. I'm not sure what you mean by RESET-EN. 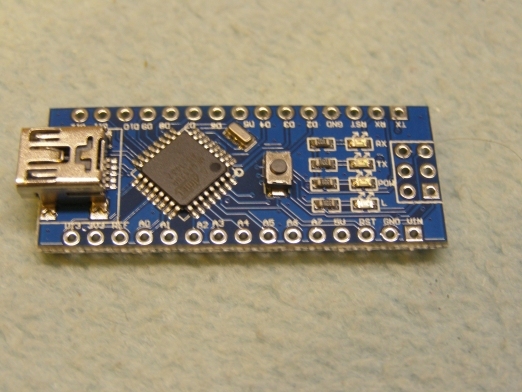 There is a pin on the Nano labeled RST that connects to the reset pin on the 6-pin ISP header. Is that what you mean? I assume if you bring that pin low it will reset the ATmega. There is also a reset button on the Nano. A regular UNO has a solder bridge called "RESET-EN". You break the bridge to stop the DTR capacitor connecting with Reset pin. Then you can use debugWIRE. I would assume that there is a capacitor that connects the DTR pin on the CH340G chip to the Reset pin on the AVR. Somewhere along that trace you need to break it for dW. 102 sounds like 1k0 to me. If China Post is as good as it has been recently, I might get my boards in 9 days. Then I can tell you what "works". Oh, I understand what you mean. No, there is no solder bridge. Just a trace from the capacitor that goes under the CH340G and tests continuous with the DTR pin. You will see when yours come. I guess to use debugWIRE both the capacitor and resistor would need to be removed. Let me know what you think of the Nano's when you get them. I think they are pretty cool little boards, and are small enough to use in a real project. You can't really put all those parts in a much smaller package. You were right. I removed the capacitor and the resistor and debugWIRE worked fine. Then I soldered a 10k resistor where the 1k was and debugWIRE worked again. Hurray! Thanks so much for your help. Enjoy your new toys when they come. Perhaps someone had loaded 1k0 resistors on the pick and place machine instead of 10k. This may be why there are a lot of cheap boards on Ebay! Maybe. There are a lot of them available from a lot of vendors. I would guess they are all made by the same big factory and everybody buys from them, which would support your theory. On the other hand, I bought two batches from alice1101983 about a month apart, and they are different. The first batch had no holes in the corners for standoffs, like in the pictures, and the second batch did, so they were obviously made by different vendors or at different times. Both have the 1k resistor and look identical except for the holes in the corners. Maybe whoever made the original Gerber file goofed and everyone making them is using the same file. I don't know. Since they are not designed to be used with debugWIRE anyway, and can be programed with an ISP programmer, like you say, maybe there is some other reason that makes the 1k resistor attractive. I don't know. It will be interesting to see if the price goes up in time. I have enough of the things to last me a very long time at the rate I am going. I've been looking at the Nano pictures in eBay. You will notice that the LEDs on the front of the ones we bought have a space between the top and bottom two. The boards I got have the LEDs spaced all the same. The picture of the back is also different than the real thing, as I already said. Which makes my supposition that they are all made at one big factory and everybody buys from them probably wrong. It looks like some number of different vendors make them, and it makes your suggestion that maybe someone loaded the wrong capacitors more likely. The trouble is the pictures don't always show what you really get. If there are a number of vendors making these CH340G Nano's, then they are so inexpensive because the manufacturer can actually make money at that price. They must buy an awful lot of ATmega328P's at a time to get a price break big enough to make money, unless they are counterfeit ATmegas. Ebay vendors just seem to copy some similar photo and some similar text. The actual goods often do not match. A typical example is the mcufriend.com TFT shield for the UNO. It has at least 3 different controllers and none of them match the SPFD5408 controller that is claimed. USBASP pcbs and I2C lcd adapters also vary quite a bit. I guess that a big factory will produce their own pcbs and the sole trader Ebay vendors buy from the big factory. We can compare notes when we get the actual Nano clones in the mail. I would still put money on the QC failures being sold off cheap. OK, we'll see. We will know for sure if the price suddenly goes up at some point. It will be interesting. I think this may disprove your theory. This one is from a different design and run. I received my two Nanos about 2 weeks ago. They look similar to yours but no cigar. Apart from verifying that the bootloader works, I have not even identified the DTR capacitor. I have not tried debugWIRE. All the SMD resistors seem to be 1k0. I compared my real-life boards to the current Ebay photos from alice1101983. And to the photos that Ebay tells me were current at the time of my purchase. Nothing compares to my actual boards. I note that the "current alice" photo show a week#19, 2014 chip. My boards contain week#16, 2015 chips. The photo from your link shows a week#09. 2015 AVR. So my theory has been blown clean out of the water. I suspect that there are multiple factories producing these little boards. I cannot believe that they are QC failures. i.e. I expect that the factories want 1k0 resistors. The DTR capacitor is the one next to the 1k0 resistor. I like the one I got. I think the board is higher quality, at least the blue color didn't wash out as much when I washed off the flux with ETOH. I guess they can actually make them that cheap and make a profit. Sort of amazing. I think people go to eBay because it is easy and they know about it and it is usually cheap. I am all in favor of everyone using Alibaba. I just bought some of their stock. I would agree that Ebay is a lot easier than AliExpress. Both for finding what you want and paying for it. A hobbyist like me only wants to buy quantities of one or two. However suspect, Ebay vendors are ok.
OTOH, if you are a business buyer, you obviously are looking to buy large quantities. And want to go to the manufacturer. Certain items are not available on both sites. Whicj gives you no choice. Plus there is the excitement of seeing if you get what you actually ordered. You never know. I ordered 10 LED controller chips (TLC5940) on eBay because they were so cheap that were advertised as new and turned out to be used. No wonder they were cheap. I would never order from eBay for items that were actually going into a product. I would go to DigiKey or Mouser for that. Someone I trust. Or even Futurlec. I have had good luck with them. They are cheap but take forever to receive. And if they don't have something in stock they just hold the order waiting for it. You have to check on availability when you place your order, or wait 6 weeks and then check. I like them, though. Great prices if you are not it a hurry. I expect that the factories want 1k0 resistors. I wonder why the designer decided on a 1k0 resistor. There must have been a rationale. Maybe they just had an overstock of them. Or maybe he had some other reason because of the 0.1uF DTR capacitor. ?? Like I said, the one I got from elike2014 had a 10k resistor and a green power LED.